Coastal tide gauges have provided data on the sea level sometimes for almost two centuries. They were originally deployed for the purposes of navigation and the prediction of tides, but their field of application has been extended considerably from coastal engineering and development to the precise knowledge of variations in sea level related to extreme weather events (e.g. storms, tsunamis) and to climate change, of which sea level is an essential parameter. R. Chazallon (1802-1872), a French hydrographic Engineer, was the first to introduce them in France in 1843. 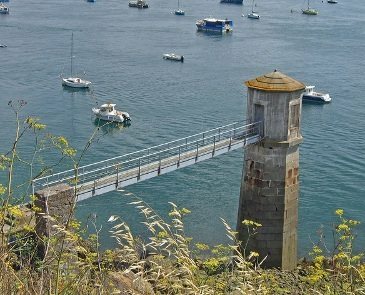 Tide gauge is not really an apropriate term since a tide gauge does not actually mesure the tide but rather the sea level, the tide being only one of the phenomena which result in sea level variations. Today, tides are well enough understood and the observations of sufficient quality to allow scientists to focus on other phenomena which result in fluctuations of sea level (see applications tab).